Ohio Department of Transportation Director Jerry Wray kicked off the new construction year at ODOT District 6 at 400 E. William Street, Delaware Wednesday afternoon. He said that this year, ODOT will lease out $2.6 billion worth of contract construction work in Ohio, and work on almost 1000 projects in the state. 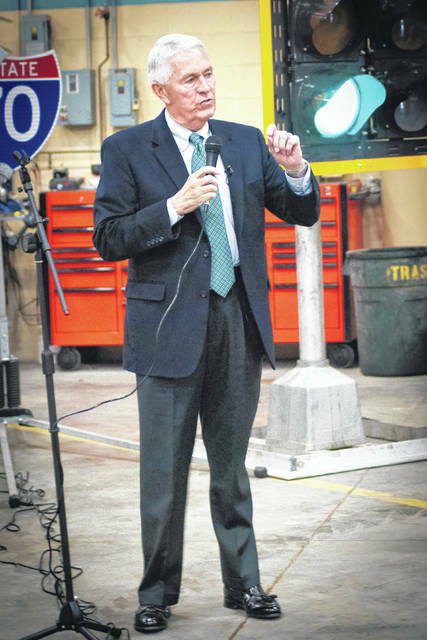 Ohio Department of Transportation Director Jerry Wray made a special appearance at ODOT District 6 at 400 E. William Street, Delaware Wednesday afternoon to officially kick off the new construction year. The other districts around the state had an event similar to the one that took place at District 6, Wray said. This year, ODOT will lease out $2.6 billion worth of contract construction work in Ohio. Wray said it would be the fifth year in a row that ODOT has exceeded $2 billion. From 2011 to the end of 2018, ODOT will have invested more than $16 billion into 7,918 projects for the state’s transportation infrastructure. This year, Wray said ODOT will work on close to a thousand projects, 28 of which will cost over $10 million. He said that 200 of the projects are safety-focused. According to officials, ODOT and contractors will repair or replace 5,645 miles of pavement, which is equivalent to paving a four-lane highway from Columbus to Albuquerque, New Mexico, and they will work on 1,040 bridges. Wray said that the main objective is safety. Wray said that this year 90 percent of the funds will be spent to preserve what Ohio already has in roads and bridges. Wray said it is the responsibility of the people of ODOT to protect that investment. 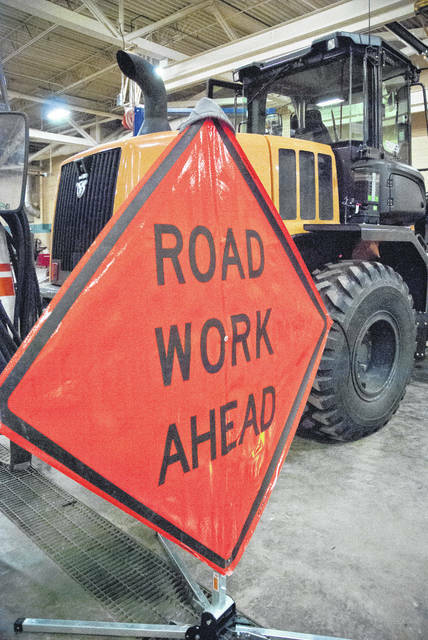 In Delaware County this construction year, ODOT has six projects planned that are either repairs, resurfacing or stripping. The projects will start sometime in April, weather permitting, and conclude in October. The six listed projects include; US 23 from Coover Rd. to Weiser Rd. will be a pavement repair, Delaware State Park will receive pavement repairs, culvert replacements and the exit will be widened, US 36 will receive pavement repairs and a widening of the guard rail onto I-71 entrance ramp and pavement from State Route 61 to the Knox County line, US 42 will be resurfaced and receive guard rial improvements from US 36 to Horseshoe Rd. in Delaware, State Route 750 will be resurfaced from State Route 315 to Old State Rd., US 23 and Home Road will be stripped to add a left turn dotted line, State Route 257 and State Route 750 will be stripped to add a left turn dotted line, and State Route 257 at Home Rd. will be stripped to covert the roundabout from two lanes to one. This entry was tagged D. Anthony Botkin, delaware, ODOT, Wray. Bookmark the permalink.